Housing campaigners who brought about the recent election of a Labour council in Haringey led by members of the Corbynite Momentum pressure group has announced that it will lobby the first meeting of the new council’s cabinet over its proposed demolition of council-owned housing due to safety concerns. Stop HDV, itself a Momentum-led organisation, has said that the tenants and residents association of the Broadwater Farm estate in Tottenham, along with residents of two of its residential blocks, are “calling for support for a lobby of the cabinet meeting to raise their concerns about this proposal”. The cabinet, which meets on Tuesday evening, is to consider a 70-page report (pages 31-104) which describes the demolition and replacement of the two blocks as its “preferred option” after survey work commissioned by the previous Labour administration discovered structural problems in a number blocks which make them vulnerable to gas explosions. The report recommends that residents of the estate’s Tangmere and Northolt blocks, which were found to be at particular risk, are temporarily rehoused immediately and piped gas removed from the buildings by October. It says the two blocks could be strengthened at a total estimated cost of £33.6m, which would have to be met entirely from existing council funds, and that although replacing them might cost between £32m and £54m, some of this would be likely to be covered by external grant funding and would “represent an investment in high quality new homes with a longer life and lower maintenance costs”. The council’s deputy leader Emine Ibrahim, a national Momentum vice chair, confirms in the report that demolishing the blocks would result in “the best long term outcomes for our tenants”, describing the cost of strengthening them as “very high indeed” and saying that this course “would not offer our residents the decent council homes we are committed to ensuring all our tenants live in.” (page 31, paragraph 2.2). Ibrahim, whose cabinet responsibilities include Broadwater Farm resident engagement, stresses that the views of residents will be taken fully into account before making any final decision, but does not promise to ballot them. Balloting is listed as an issue by Stop HDV and it has been reported that residents association secretary Jacob Secker has accused the new council of “treating residents of these two blocks in a callous and incompetent manner” as if they were “second class citizens”. Secker believes residents should be given more choice about where they are moved to. Last autumn’s Labour Party conference passed a motion calling for mandatory ballots of estate residents before regeneration programmes go ahead, a stance endorsed by party leader Jeremy Corbyn in his conference speech. Subsequently, London Mayor Sadiq Khan added the requirement to his “best practice guide to estate regeneration”, which had previously argued against it. Ibrahim warns that “as a council we also have a duty to maintain the long-term health of the council’s finances and to consider the direct impact such a cost would have on our ability both to maintain the rest of our existing homes, many of which are in desperate need of investment.” (page 33, paragraph 2.3). The Stop HDV campaign mobilised Labour Party members in Haringey against the previous administration’s plan to form a 50/50 joint venture company, to be called the Haringey Development Vehicle (HDV), with international property developer Lendlease, which specialises in collaborations with government bodies on major regeneration schemes. 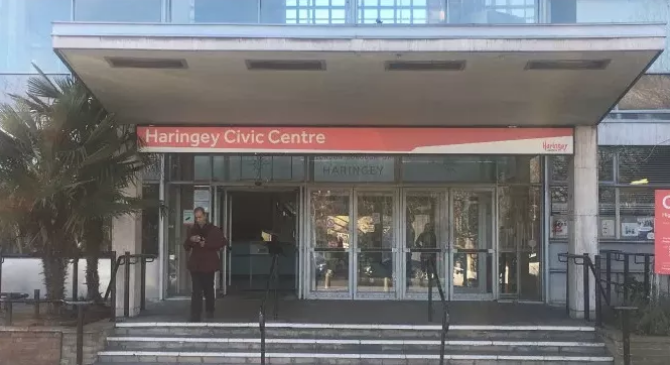 The council argued that the HDV would bring forward finance and expertise it could not provide itself to enable the redevelopment of its own civic centre and nearby offices in Wood Green as well as improving its housing stock and overall housing supply. Broadwater Farm was earmarked for potential demolition in the future. The handling of the Broadwater Farm safety issue, designated a “key decision” by the council report, is seen as a major early test for what one local activist termed the nation’s first “Corbyn Council” as tensions between preserving existing council housing, providing new low cost homes and finding the necessary finance demand difficult decisions. The pressure being put on the council by Stop HDV, which has been supported by local Liberal Democrats, Green Party AM Siân Berry, various extra-parliamentary left wing groups and the Guardian, is also directed at its new leader Joseph Ejiofor, who is a member of Momentum’s national co-ordinating body but has been been criticised by Stop HDV for being “spotty” in his opposition to the Lendlease joint venture plan. The cabinet is due to discuss the HDV at a meeting on 17 July. Footnote for googlers: Emine Ibrahim sometimes spells her forename “Emina“.